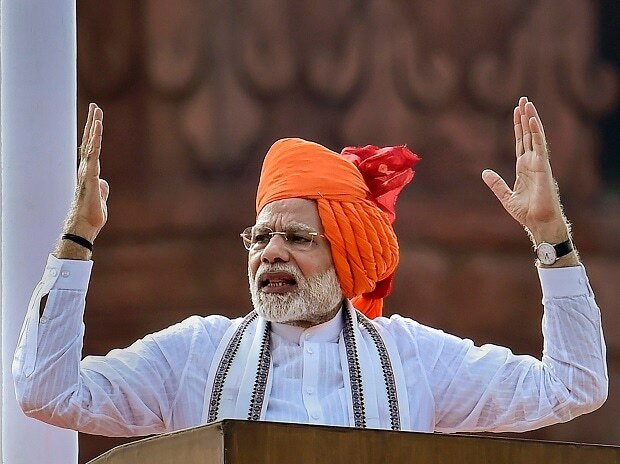 Various aspects of Hindu philosophy can help find the solution to several problems that plague the world today, Prime Minister Narendra Modi said on Friday and called for using technology to connect more people with the thoughts of Hinduism. In his message to the second World Hindu Congress here, Modi said that digitising various treatises and ancient epics can deepen their connect with the younger generation. "This would be a great service for the coming generations," he said. "Living in the era of technology, I particularly call upon the esteemed delegates of this conference to think about ways in which technology can connect more and more people with the thoughts of Hinduism," Modi said. The inaugural session of the conference was attended by 2,500 delegates and Hindu leaders from more than 60 countries. In his message, Modi hoped that the meeting would deliberate upon how better India can engage with the world, based on its ancient treasure trove of knowledge, intellectually and culturally, to help build a future of understanding, acceptance, sharing and caring for "our future" generations to live and thrive. The message was read by eminent Indian-American Bharat Barai. "The manner in which this Conference has brought together thinkers, scholars, intellectuals, eminent thinkers and other participants is commendable," Modi said. Noting that Hinduism is among the oldest beliefs in the history of humankind, Modi said, "It is in the various aspects of Hindu philosophy that we can find the solution to several problems that plague the world today. Modi said that he is glad that the conference is being held in Chicago, which reminds every Indian of one proud moment when Swami Vivekananda addressed the 'Parliament of the World's Religions' in 1893, in the same month of September 125 years ago. Modi said the Indian community across the world is catalyst of the resurgence that Swami Vivekananda spoke of contributing to a better future for the whole world.